My name is Dr. Neil Cooper and I am the new President of the AMA for 2017-18. I am a pediatrician who practices in Calgary. I have been a member of albertapatients (along with my octogenarian parents) since it was launched in 2015. I have really enjoyed seeing the great conversations that this community has been having over the last few years. You will have things to tell us this year that will be really helpful for the AMA Board of Directors and our partners in the system like Alberta Health, Alberta Health Services, the Health Quality Council of Alberta and others. 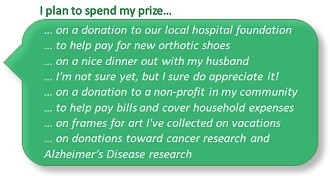 The results of the survey that are covered in this newsletter will be really important. We are finally beginning to see change across the health care system so that your health information can follow you wherever you go. We also think that statistical information from all Albertans can be used anonymously to make decisions about the system and to help doctors improve our practices. What you have told us in this survey about your comfort or concerns around sharing your health information is being discussed with government and AHS to consider in their decisions and help them to communicate more effectively with you when the time comes to do so. 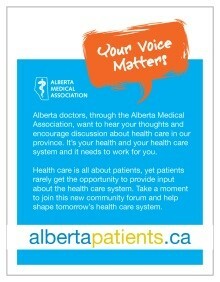 Thank you to everyone who participated in this survey and to all the members of albertapatients.ca. I look forward to working with you. We recently asked albertapatients members for their views on how patient medical records are stored and shared in Alberta. Please read on to the Did You Know section (below) for highlights from that research and a link to the full report. Patient medical records in Alberta. Did you know? Health records are not shared as freely as many patients think. 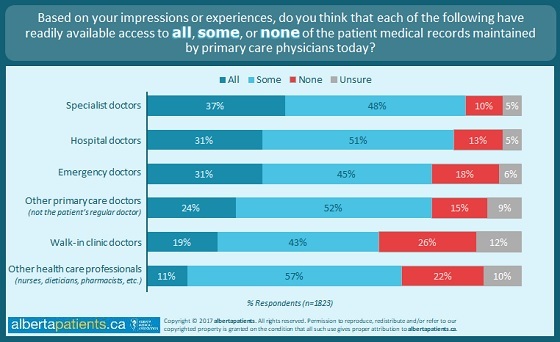 The majority of patients believe that various healthcare professionals in Alberta, including physicians and other healthcare providers, already have access to all or at least some of their personal medical records. However, relevant patient medical records are not easily shared between family doctors and other healthcare providers at this time. There is strong support for a province-wide system to extract and share some selected patient information from family doctor medical records with other health care providers. When offered a detailed description of the system, over 9-in-10 respondents (93%) say they approve. 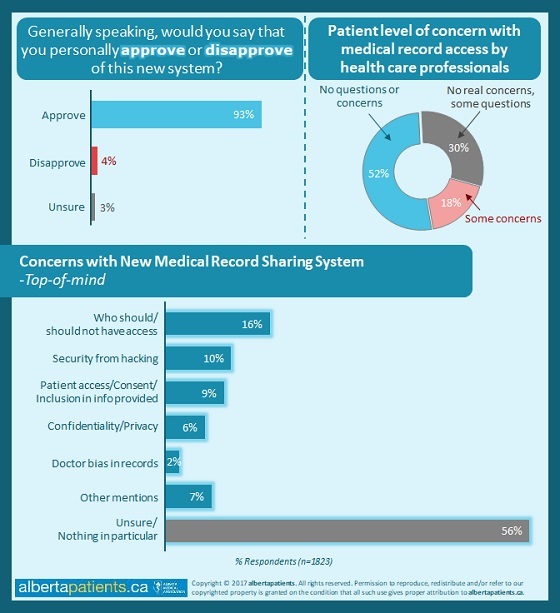 Overall, there are few concerns with a patient’s medical records being shared with other health care professionals – over one-half (52%) are not concerned, and another 3-in-10 (30%) are also not really concerned, but have some questions. The main top-of-mind concerns with the new system include who else would have access to this information (16%), security from hackers (10%), and patient consent (9%). Patients are less certain when it comes to their medical record information excerpts being shared with government. 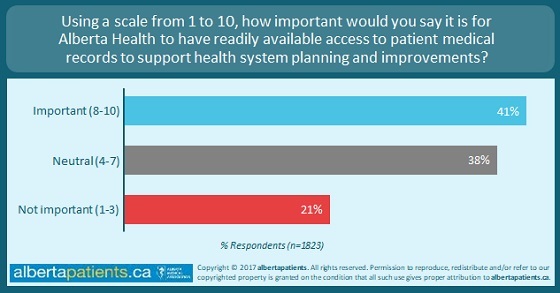 Only 4-in-10 (41%) believe it is important that Alberta Health have access to anonymized, aggregate patient data from health records. They are most concerned when it comes to “sensitive” information because they are unclear why the information might be needed and for what purposes. It will be important for Alberta Health to clarify how this information will be used, identify how having it will benefit patients overall, and highlight how personally identifiable information will be removed from the data. When properly conceived and explained, patients will likely be supportive of their information being used to improve care delivery.